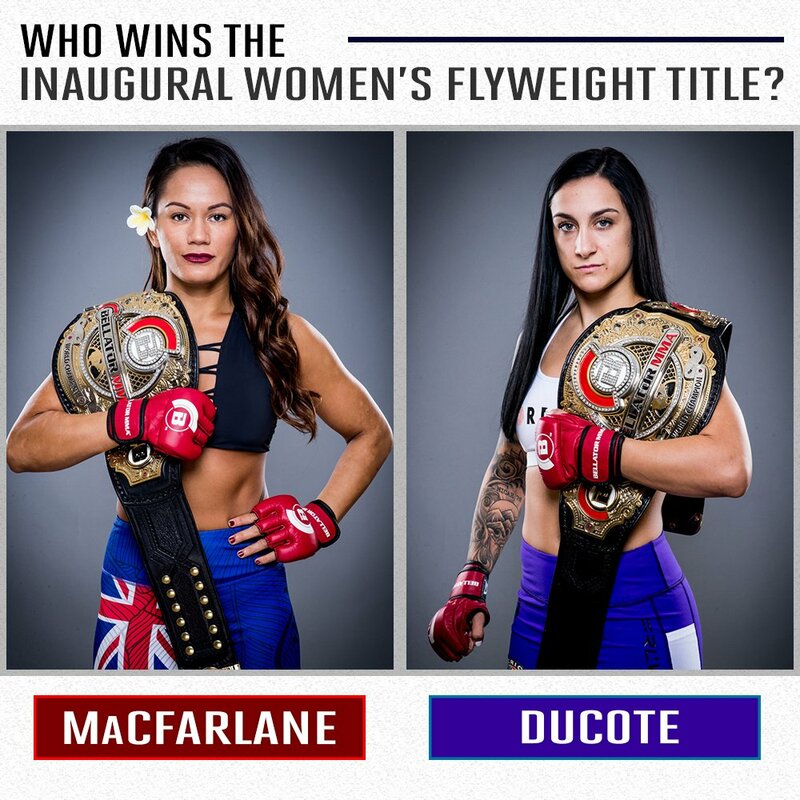 Ilima-Lei "The Ilimanator" Macfarlane (6-0) and Emily "Gordinha" Ducote (6-2) will throw down for the inaugural women's Bellator flyweight title tonight in the co-main event for Bellator 186 at the Bryce Jordan Center in University Park, Pennsylvania. 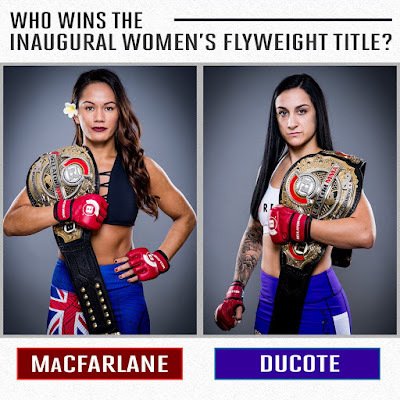 Watch the main card broadcast live starting at 9 PM ET on Spike TV. Tune in and find out who will be crowned champion. Good luck ladies!